When we think of Lovecraftian horror, or the Lovecraft Mythos (as it exists in Lovecraft’s works alone), we need to differentiate those stories from what has come to be called the Cthulhu Mythos, a name invented by August Derleth. Lovecraftian horror incorporates aspects of the Cthulhu Mythos (which oozed forth from Lovecraft’s influence), but Lovecraft’s horror fiction is much more than cosmic entities that filter to our planet and corrupt our dreams and sanity. But there was one story that disturbed me in the more complicated way I would only later come to realize as a hallmark of the true genius of horror fiction. While the other stories left me with a kind of moonlit Halloween glow, this one put a spade into my settled earth and overturned it. I felt weirdly sick after reading it. I felt injured in some obscure way, as though it had betrayed a trust. The story was “The Monkey’s Paw,” by W.W. Jacobs. Forget the blood stains on the floor of the second bedroom—those were just a myth invented by my sadistic uncle to torture my sister and me with sleepless nights. No one had ever died in that bedroom, no matter what he said. No, the real haunting was rooted deeper in its history, a real history that reached back to 1912, the date etched into the elaborate iron knocker on the front door. I write this missive from the ruins of December 21, 2012, which came with blood and fire upon the heels of not one but two Raptures. I write to you from the propane-warmed heart of my Y2K shelter, where my fridge is stocked with Tang and canned juice, my shelved piled high with Maruchan ramen and bulging bags of Malt-O-Meal. The stock market has crashed: the dollar is worthless. The recently dead are walking the streets with food in their teeth, and we’re what’s for dinner. It is as we have always feared: the world has ended. Let me make a confession here: I haven’t been truly scared by a work of literary or cinematic horror in a long time—perhaps only once in my adult lifetime. It’s not the first time that I’ve been asked, “Why do you write that stuff?” It’s typically been voiced by those who are friendly to me but not particularly close: colleagues at the school where I teach; the parents of my younger son’s classmates; the people who stop to talk to me at bookstores or libraries or conventions, when I’m signing books or after I’ve finished giving a reading or sitting on a panel. After years of hearing this, I still don’t have a good answer. Remember when telling ghost stories on Christmas Eve was an integral part of the holiday? No?—Me neither, but that’s what they tell me. It’s a practice from before our time, a Victorian-era vestige that gave us the stories of M.R. James and A Christmas Carol and has since been all but eclipsed by Rudolph and Frosty and Charlie Brown’s pitiful little twig of a tree. 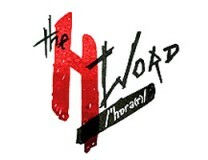 Welcome to the “The H Word,” our monthly dissection of the horror genre. In it, we take the beast apart, piece by twitching piece, in an effort to see what makes it tick . . . to see what works and what doesn’t.